For many sporting clays shooters, sharing the sport with others is even more rewarding than climbing the ranks of the top shooters. For others, it’s rewarding to share the skills and discipline learned while becoming a champion competitor. 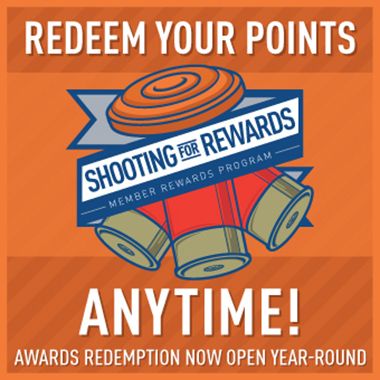 Whether you just want to share information and techniques with your shooting companions, teach shooters in a formal setting or club, or make a career of developing future champions, the National Sporting Clays Association’s Instructor Certification program offers the path to pursue your goal. All Applicants MUST sign and return the Background Check Agreement with their application. Scholastic and Recreational Instructors learn the same skills as Level I instructors but have fewer prerequisites. These certifications are designed to qualify instructors to work with youth and beginning shooters in a safe and recreational manner. At the Level I program, our goal is to provide beginning instructors with the knowledge and ability to teach the fundamentals. They should be able to instruct a shooter on such basics as setting up foot and body position for proper balance; setting up hand and shotgun position to move with the target; how to use the eyes to acquire a target; understanding why a target was missed; and why all this is important. The Level I course will prepare instructors to work with beginning shooters or any who need to improve their fundamental skills. The Level II program is where instructors move up from teaching to becoming a coach. This is where we begin to work on the mental game, where perception and reality are different. The instructor has to get on the same page as the shooters to help them overcome their problems. Positive reinforcement, helping them learn what to do and when to do it, and rehearsing those actions both physically and mentally are the skills that we learn to develop as Level II instructors. We want our instructors to be able to provide progressive training and help their students visualize breaking targets so we can empower the subconscious and make the right things happen. The purpose of the Level III Course is to produce an instructor who meets all the criteria for Level II and who can instruct up to the highest individual levels of proficiency in sporting clays and FITASC. They are encouraged to be active competitors, will encourage their students to compete in the sport and promote the sport to new shooters. The Level III instructor should be an excellent communicator, highly proficient at teaching the fundamentals, assessing eye dominance and basic gun fit as well as proficient at calling a shot and diagnosing the causes of a miss on targets up to and including those of advanced levels of difficulty. Additionally, the Level III instructor will exhibit advanced skills in the areas of coaching competitive shooters, the mental game, goal setting and practice planning.